Cookies are text files containing small amounts of data which are downloaded to your computer when you visit a website. Cookies are useful because they allow us to recognise your computer, and improve your experience on our websites. Your web browser (such as Internet Explorer, Firefox or Chrome) then sends these cookies back to the website on each subsequent visit so that we can recognise you and remember things your user preferences. Cookies can only be read by the server that sent it to your browser. When you are viewing a website, a cookie is transferred to your browser by the web server and is stored on your computer. It can only be read by the server that gave it to you and cannot be used to identify you as it never contains personal information such as your name or email address. There are various ways that you can control and manage your cookies. 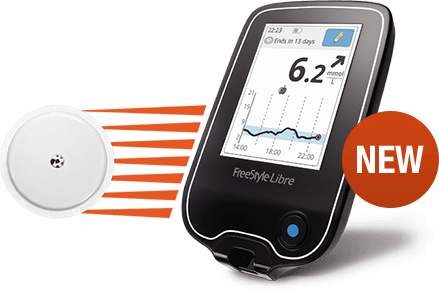 Please remember that any settings you change will not just affect Abbott Diabetes Care cookies. These changes will apply to all websites that you visit (unless you choose to block cookies from particular sites). See the ‘Help' sections in your browser to find out more about how to manage your cookies. It is possible to opt out of having your browsing activity recorded by analytics cookies. Opt out of Google Analytics cookies. Please note that this will take you to Google's website and generate a ‘no thanks' cookie, which will stop any further cookies being set by Google Analytics. Remember that by opting out of our analytics cookies we're not able to learn what our users and members like or don't like about our websites so that we can make them better.